Peanut Butter Cookies are one of those endearing national favorites that have stood the test of time. Almost everyone loves Peanut Butter Cookies. They are so easy to make, too. 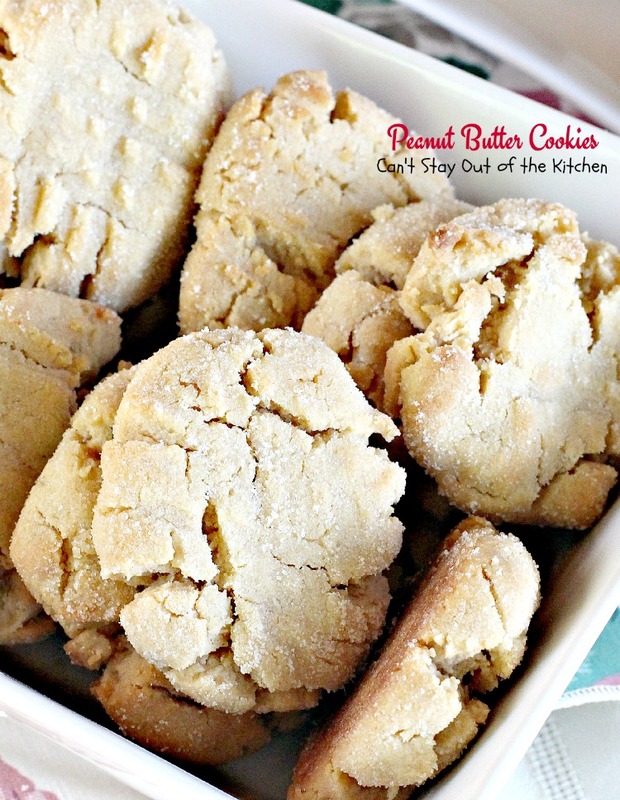 I have loved Peanut Butter Cookies since I was a young girl. They are rich, thick, chewy, and so tantalizing to the taste buds! 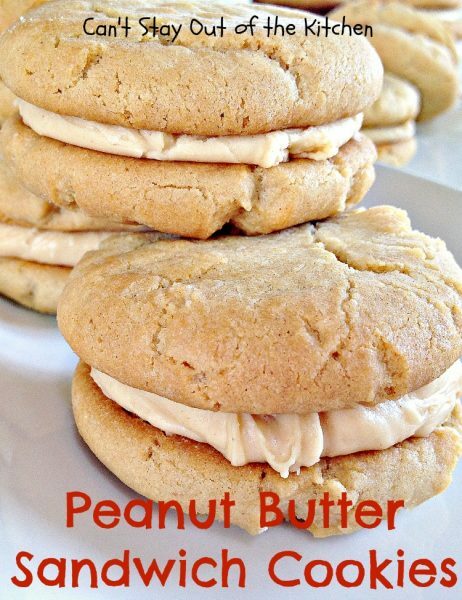 I love being able to whip up a batch of these sensational Peanut Butter Cookies in just a few minutes, too. 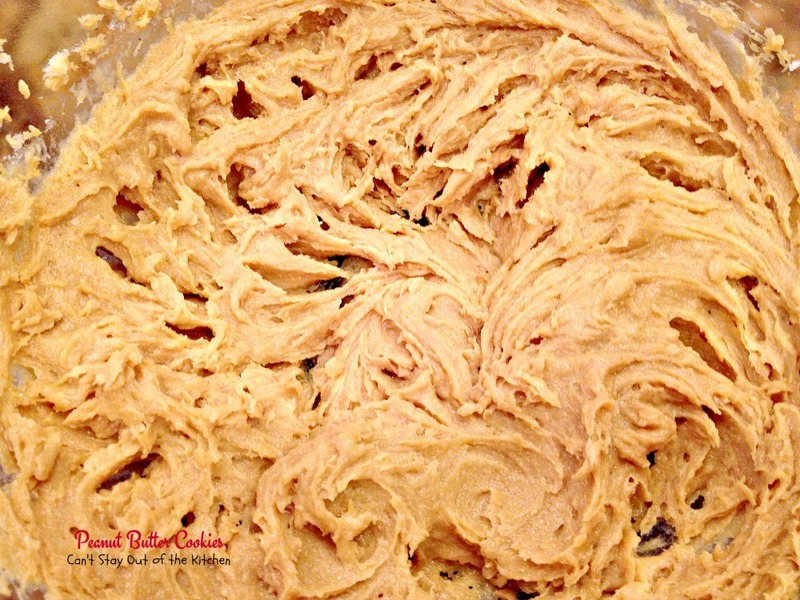 The dough has to be chilled for at least an hour, and then after that they are ready to be rolled out and pressed with a fork in a criss-cross fashion before baking. 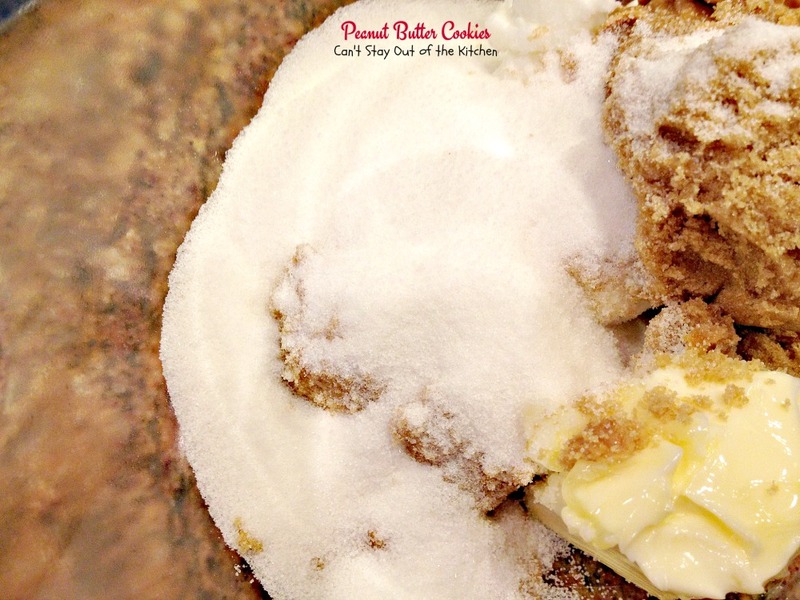 These cookies have always baked up beautifully and our family has enjoyed them for over 35 years! We’ve made them many, many times for our Christmas Cookie Extravaganza each year. 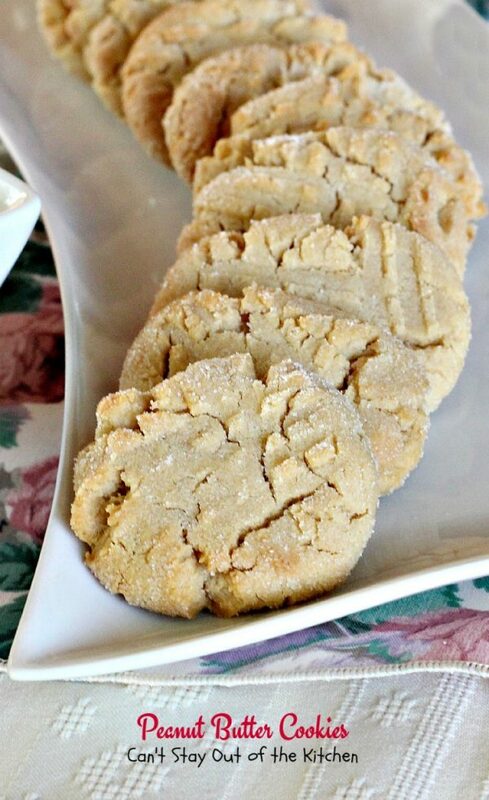 These are our favorite Peanut Butter Cookies. They are taken from the Betty Crocker cookbook, circa 1972 with the bright orange cover. I increase the flour a little, but my version is only slightly adapted from the original recipe. This is certainly one of the most scrumptious Peanut Butter Cookies you will ever taste. I made these over a year ago and posted them. I’m currently teaching a cooking class (June 2013) to the younger kids in our church and this was on the menu yesterday morning, so I’ve posted up some new pictures. It was so nice to be able to bake up a batch of these goodies with all my little helpers. Everyone loved these cookies. I sent a batch out with John to his office today and they are gobbling them up! My sister and I both got copies of the Betty Crocker cookbook years ago and they are falling apart. Her daughters also wanted their own copies a few years back so I hunted in thrift stores and craft malls until I could find a few copies still in pretty good condition. As cookbooks go it is a pretty decent one. I rarely recommend cookbooks because most novice cooks will use them and have bad experiences with some of the crazy combinations in them. Instead, I suggest to those who want to learn how to cook to ask for the recipe when you sample something you really enjoy — and keep asking until you get it! That’s how I have such a huge collection of recipes. I’ve collected them from potlucks, family, neighbors, you name it. 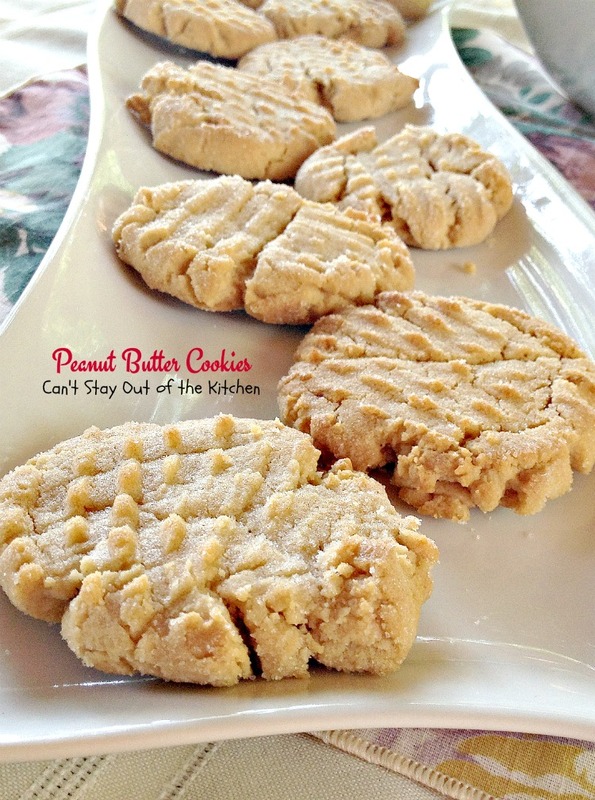 So, if you’re into recipe collecting, I highly recommend this delicious Peanut Butter Cookie recipe. You won’t be disappointed. And neither will be your kids or others who are fortunate enough to sample them. 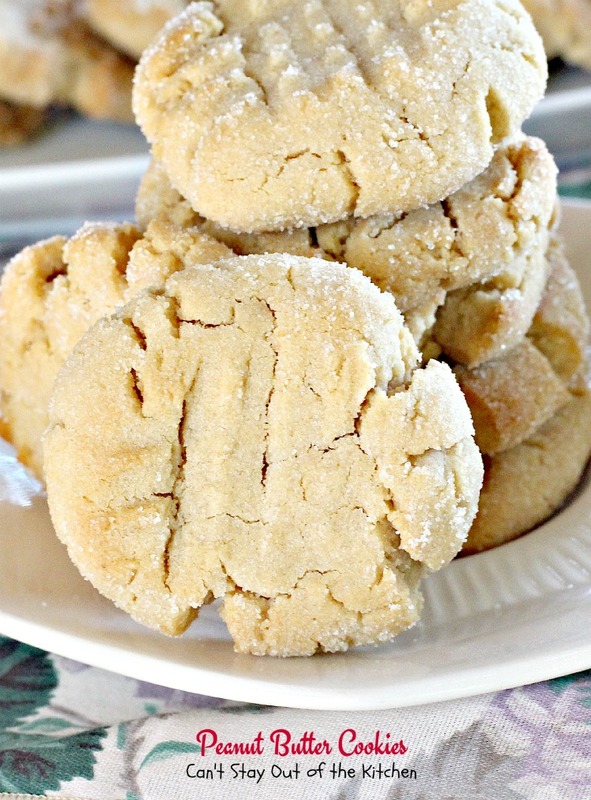 These cookies are so easy to whip up. 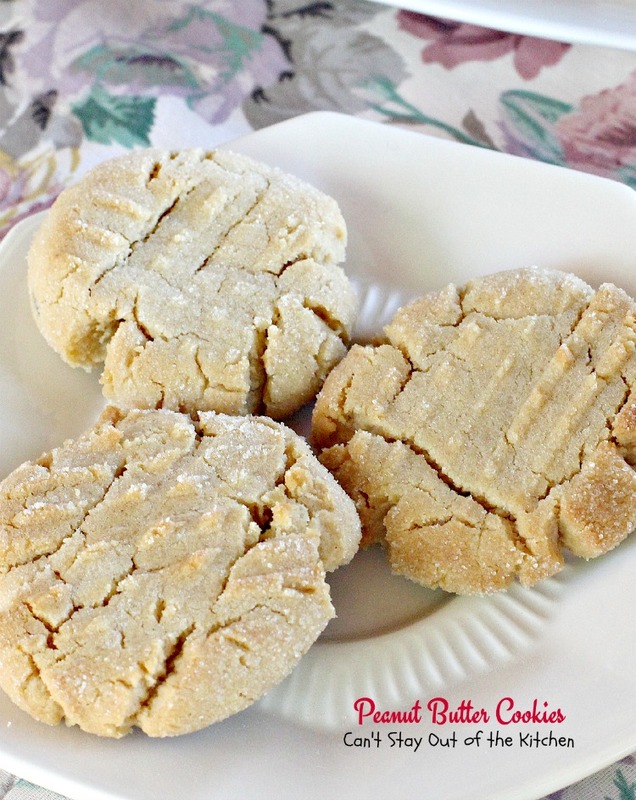 Our family has always loved these Peanut Butter Cookies. Peanut Butter Cookies are great for tailgating parties, too. This recipe has been our favorite for years. These tasty treats are great to prepare for kid’s parties, company visits or picnics. 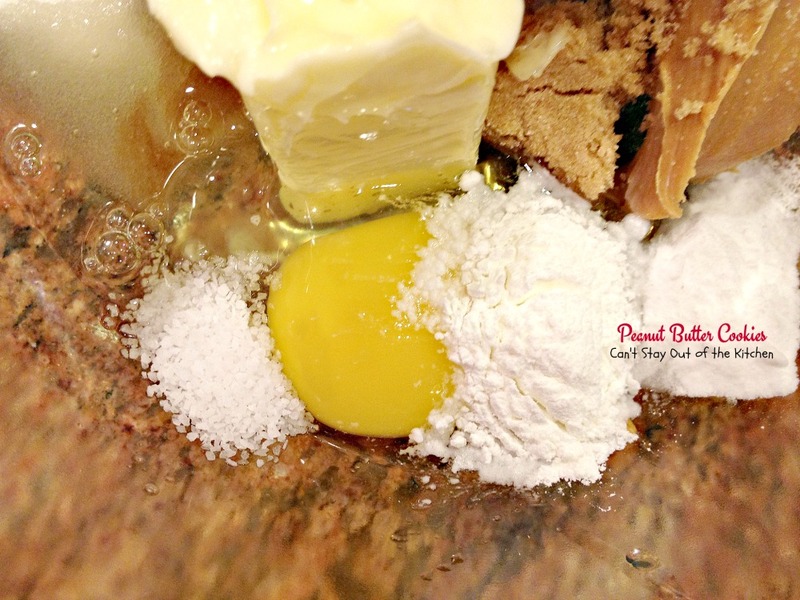 Measure shortening and place in mixing bowl. Add softened butter, peanut butter, brown sugar an egg and granulated sugar. 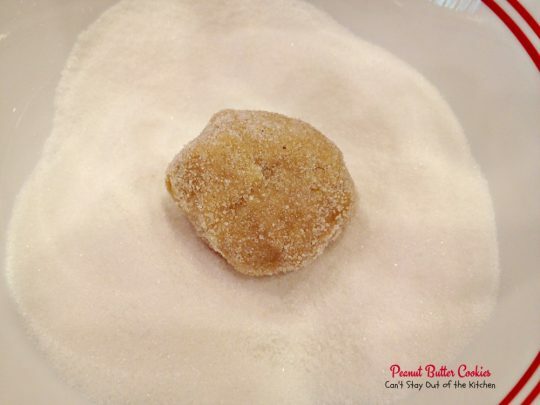 Pour about a half cup of sugar into a small bowl. 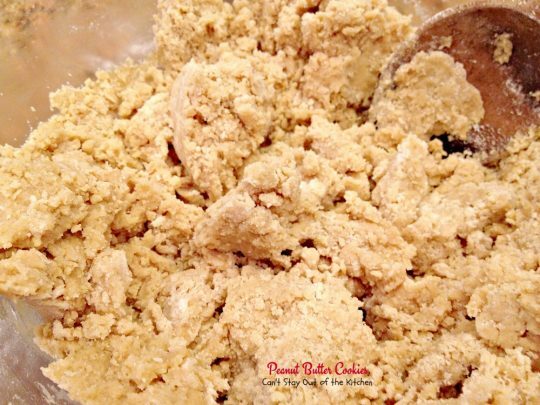 Roll peanut butter dough into balls and coat with sugar. 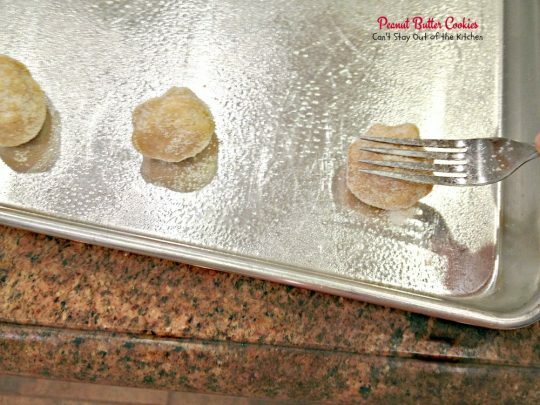 Spray cookie sheets with cooking spray. Press the peanut butter balls that have been rolled in sugar down slightly with a fork. Press in criss-cross fashion. Here the cookies have been pressed with a fork in criss-cross fashion. Don’t be too heavy handed in this step or the cookies will crumble apart! Bake at 375 for about 10 minutes until cookies are done. 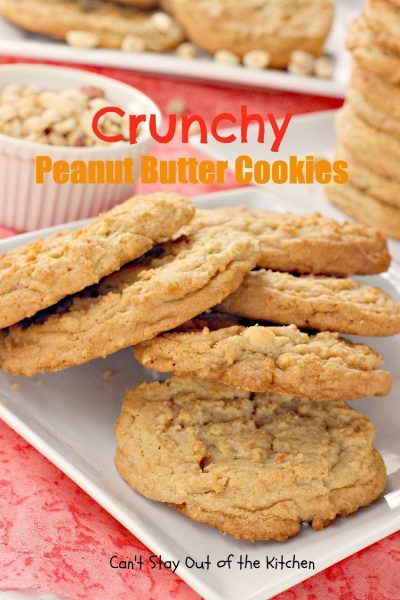 Peanut Butter Cookies are crunchy on the outside and chewy and soft on the inside. I love the texture of these delicious cookies. 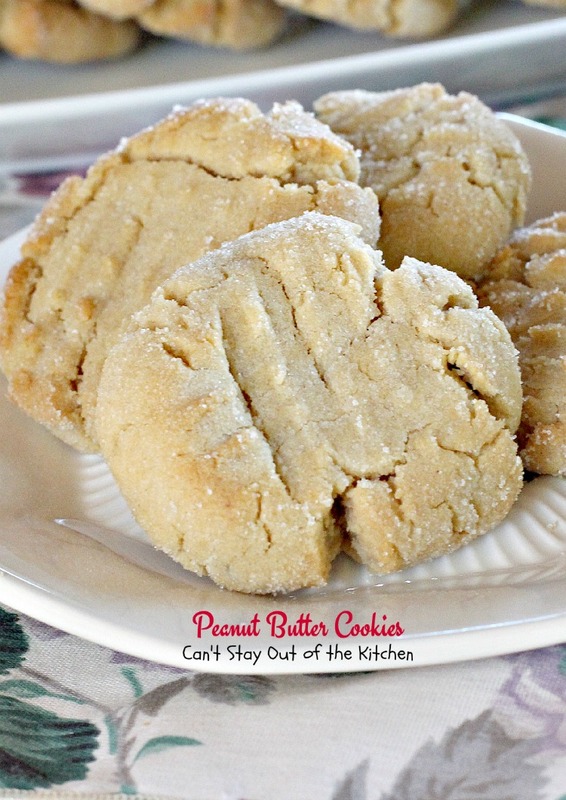 Peanut Butter cookies are great cookies for holiday baking or for any kind of party. You can have a batch of these jewels ready in no time! 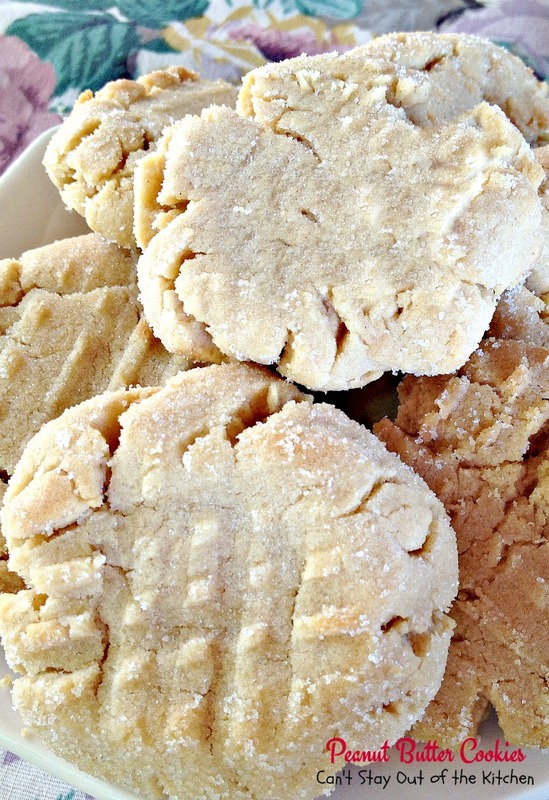 These are our favorite Peanut Butter Cookies. 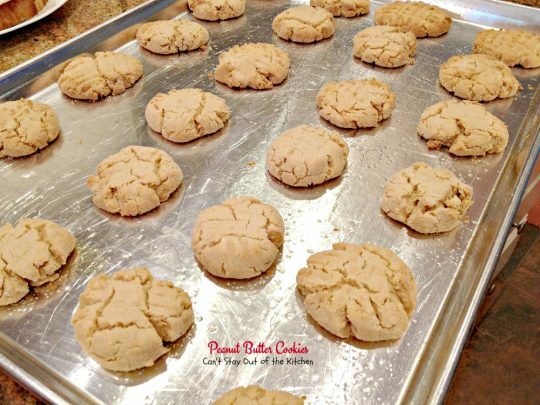 We've been making these cookies for over 35 years and they are still our favorite Peanut Butter Cookies. Mix thoroughly the shortening, butter, peanut butter, sugar, brown sugar, egg, baking soda, baking powder and salt. 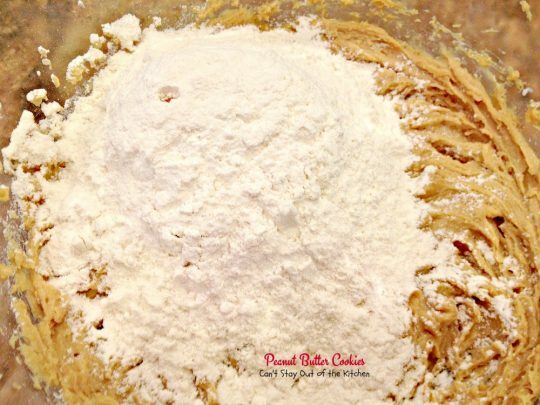 Stir in flour with a wooden spoon until combined. Cover and chill dough at least one hour. 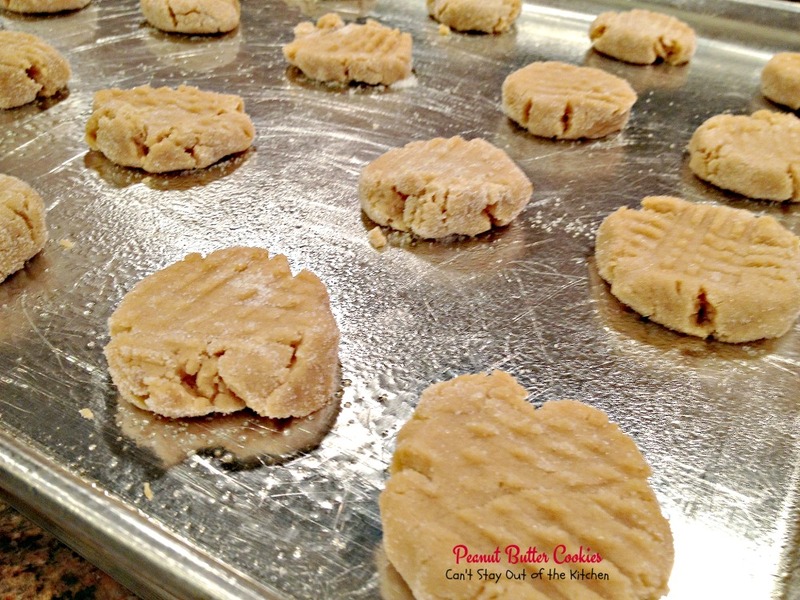 Place 3 inches apart on lightly greased baking sheets. Flatten cookie with fork in crisscross pattern to 2 inches. Bake 10-12 minutes or until set but not hard. NOTE: Preparation time does not include time required to chill dough. 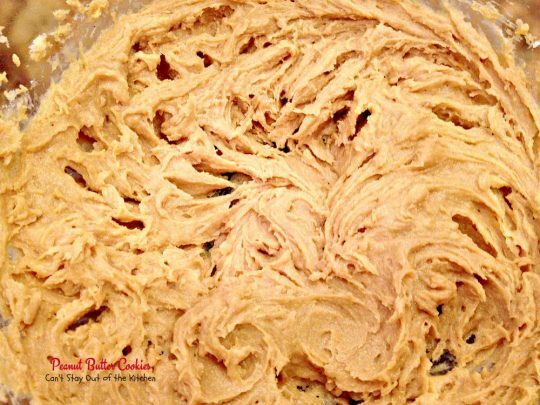 NOTE: The dough must be chilled in order for the dough to set up correctly for baking. NOTE: Don’t be too heavy-handed with pressing the fork into the cookies or they will fall apart! NOTE: I have used flour or sugar in flattening the cookies, or nothing at all. NOTE: This recipe needs the shortening in order for the cookies to set up. These are our favorite Peanut Butter Cookies. We’ve been making these cookies for over 35 years and they are still our favorite Peanut Butter Cookies. Preparation time does not include time required to chill dough. [br][br]The dough must be chilled in order for the dough to set up correctly for baking. [br][br]Don’t be too heavy-handed with pressing the fork into the cookies or they will fall apart! [br][br]I have used flour or sugar in flattening the cookies, or nothing at all. [br][br]This recipe needs the shortening in order for the cookies to set up. This close up shows the texture of the cookies really well. I’m ready to eat one of these fantastic Peanut Butter Cookies right now. What about you? 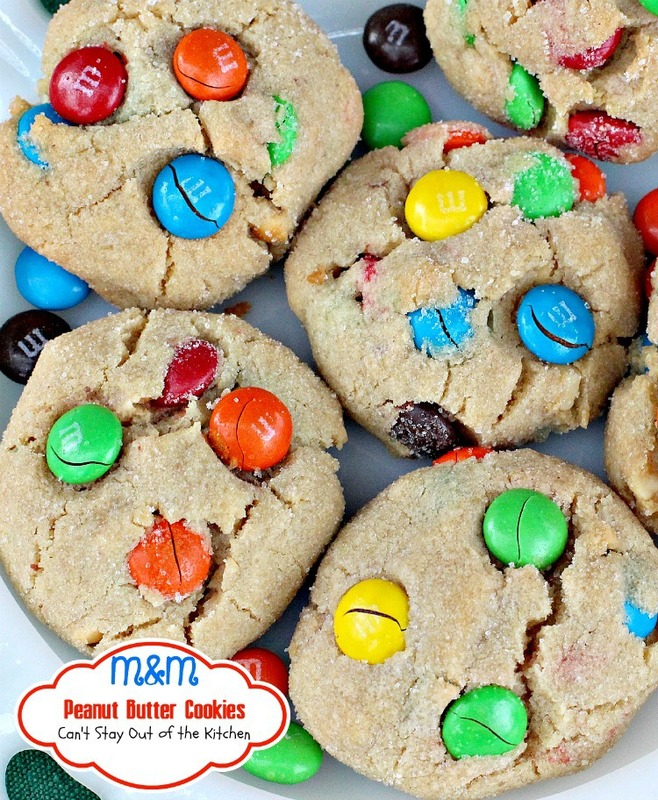 Each incredible cookie has the creamy taste of peanut butter. They’re sure to satisfy any sweet tooth craving your having! Awesome ! I have been searching for this recipe since I lost my orange cookbook , these are the best peanut butter cookies ever!! Everyone raves over them. I add extra peanut butter and use all 1/2 cup butter instead of shorting. I will never lose this recipe ever again there is nothing like it. Gonna find me that book as well, many good recipes in it as well before the world became health food crazy !! Hi Wendy. I’ve found several of these cookbooks at yard sales and thrift stores so I could pass them on to relatives. Several of the recipes are to die for!